Both fresh and faux plants can transform any indoor space into a lively oasis. If you go for the real thing, not only will you reap the benefits of their stylish looks, you’ll also enjoy a host of potential health benefits. Since plants release oxygen and absorb carbon dioxide, they’ll naturally freshen up the air in your home—not to mention the fact that they’re also thought to ease stress and improve mood. If you’re not sure you’re up to the task of keeping a real plant alive, fret not. There are plenty of indoor plants that are near impossible to kill (you just have to know where to shop and what to look for). Although, there is always the faux plant alternative for those who don’t want to risk it. 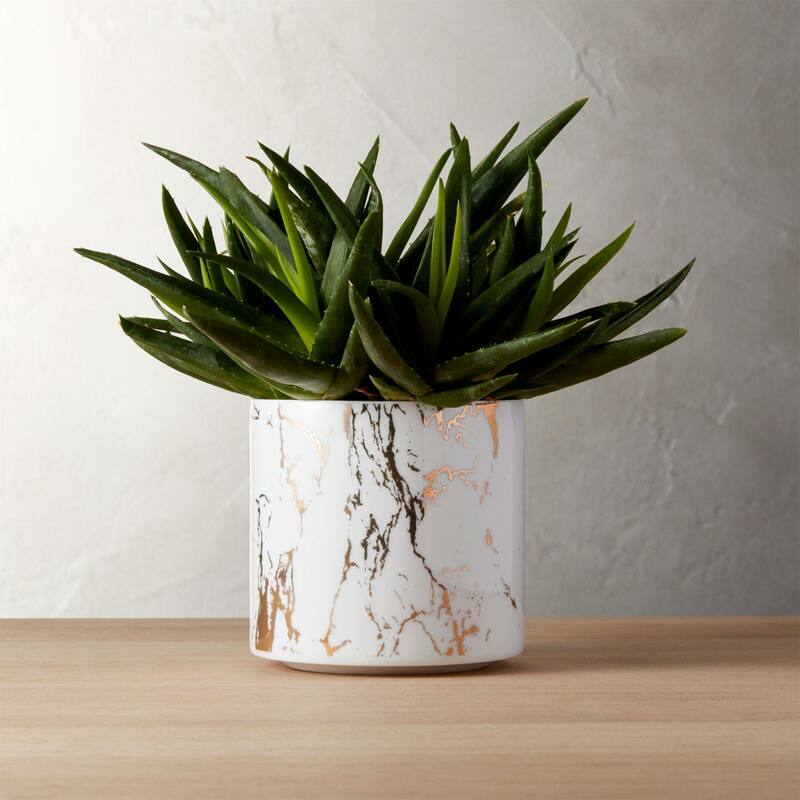 In fact, you can actually find some great options for fake plants that look just like the real thing (no plastic necessary)—West Elm's faux plants look insanely real. Whatever you choose, you’ll need a stylish indoor plant pot to display your plant baby in. Some are simple while others could stand alone as decorative sculptures. No matter what your style, there’s a planter that will blend in beautifully with your home’s décor. From natural ceramics to contemporary metals, here are 16 indoor plant pots to choose from. 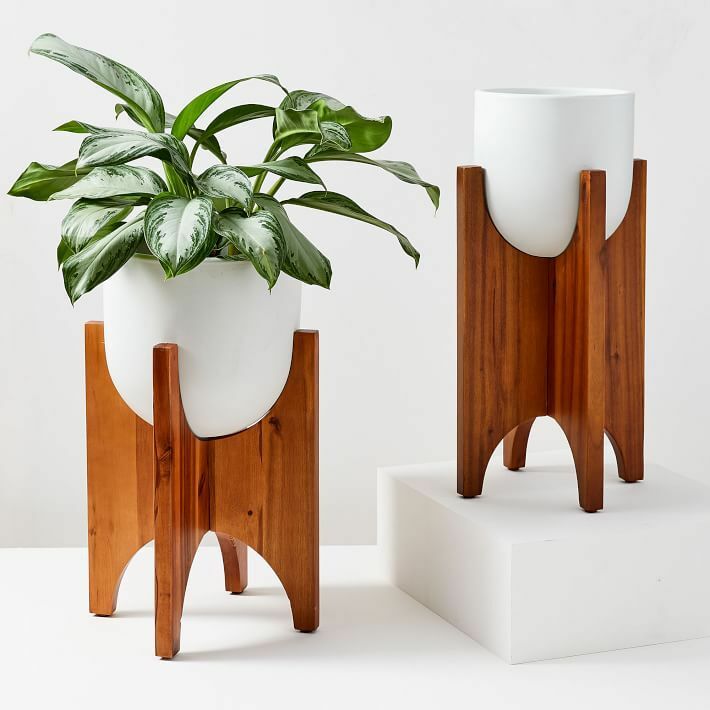 Inspired by Brazilian mid-century design, these earthenware planters are propped up on chic acacia wood legs that feature a lovely arched design. Both tall and small plants would look stunning placed in these pots. 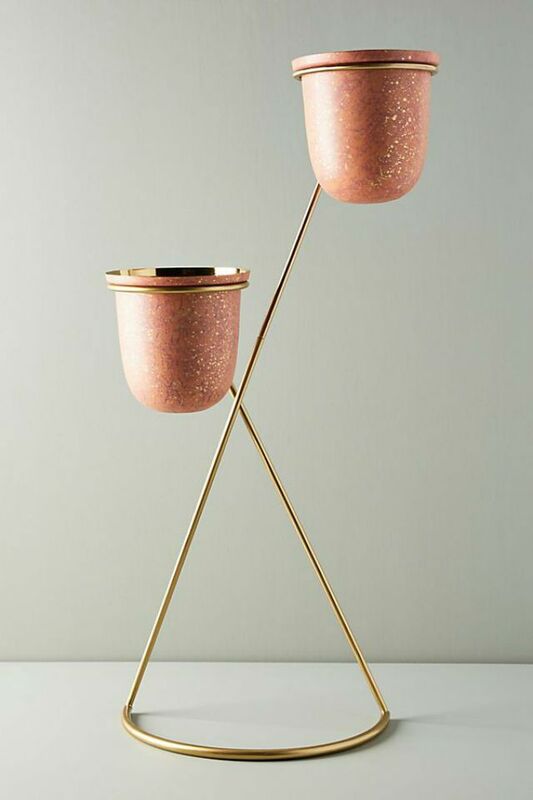 For something guaranteed to stand out, consider this gold plant stand featuring not one but two pots. The asymmetrical design feels fresh and original while terracotta pots speckled with flakes of gold anchor the piece. 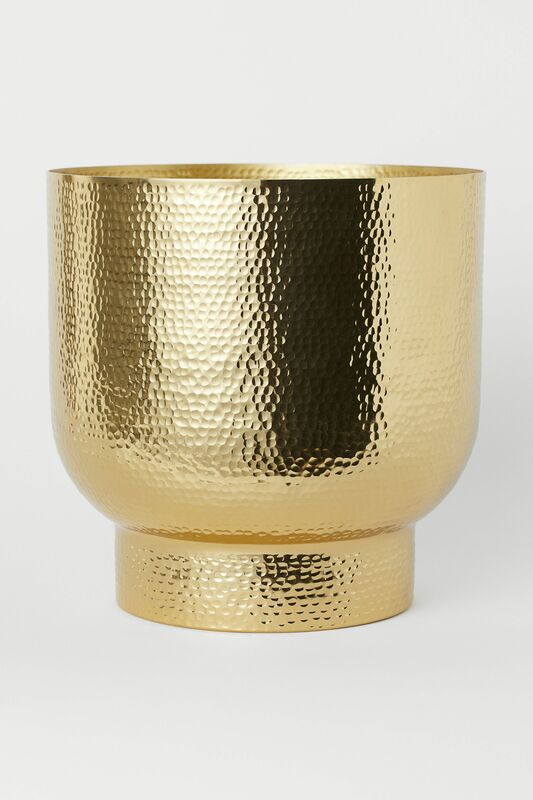 Go glam with this cylindrical indoor plant pot with a metallic, marble-inspired pattern. The white and gold of the planter will stand out against the natural green of any plant you place inside. This practical piece comes with both a planter and a drainage tray. Fit for fresh botanicals, the ceramic pot features a soft gray hue accented by a dimpled design. 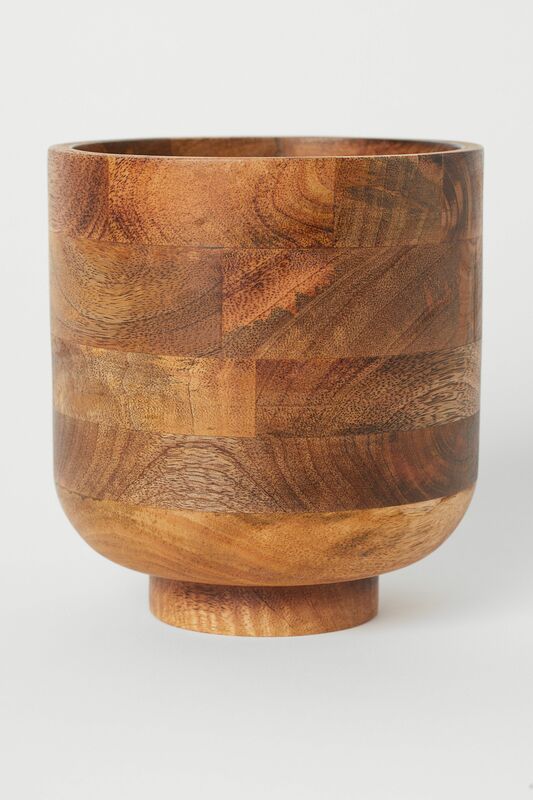 For a natural look, consider this wooden plant pot from H&M. It’s made of 100% wood with a modern design that includes a base that’s smaller than the pot itself which helps to elevate the piece. Fit for smaller plants, a succulent or cactus would look divine in this colorful indoor plant pot. 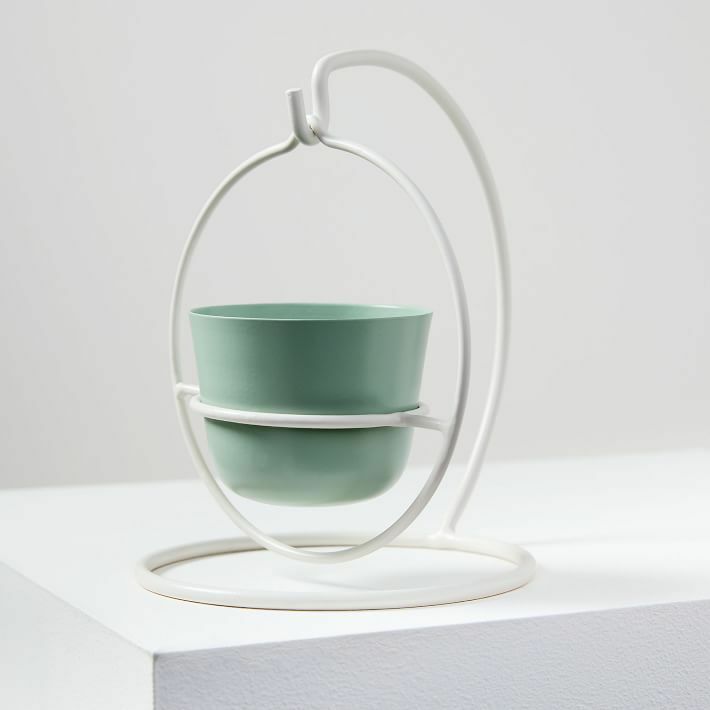 Suspended in the air by a white base, a mint green hue coats the petite planter. It’s perfect for displaying on a desk or nightstand. Get in on the cement trend with this industrial planter. 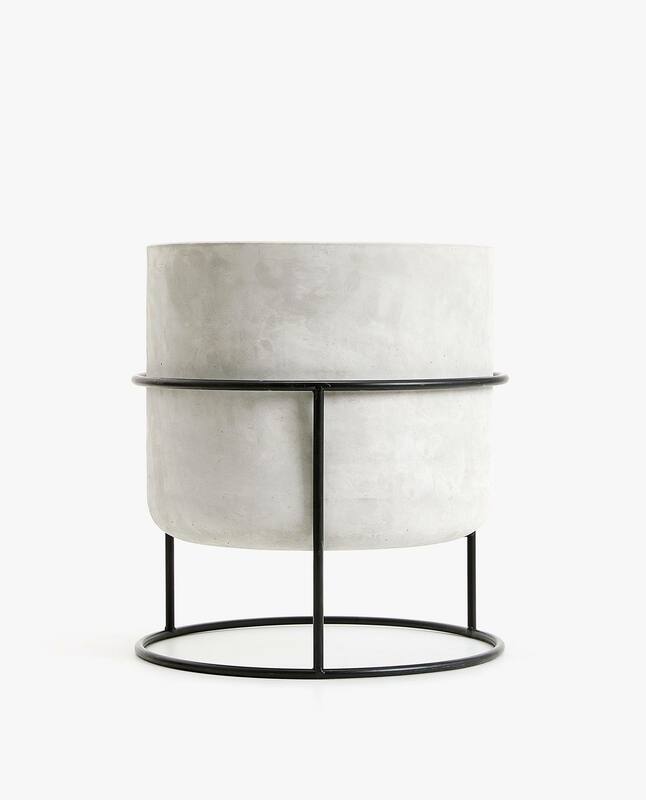 A cement pot is propped up by a black metal base creating a unique and minimalistic look. 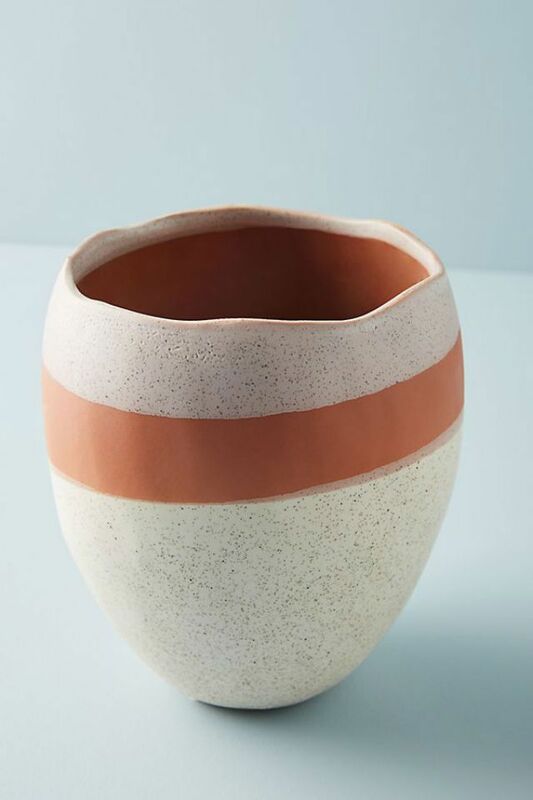 This multi-colored stoneware indoor plant pot from Anthropologie looks entirely one-of-a-kind. It features asymmetrical layers of speckled lavender, terracotta, and white hues. 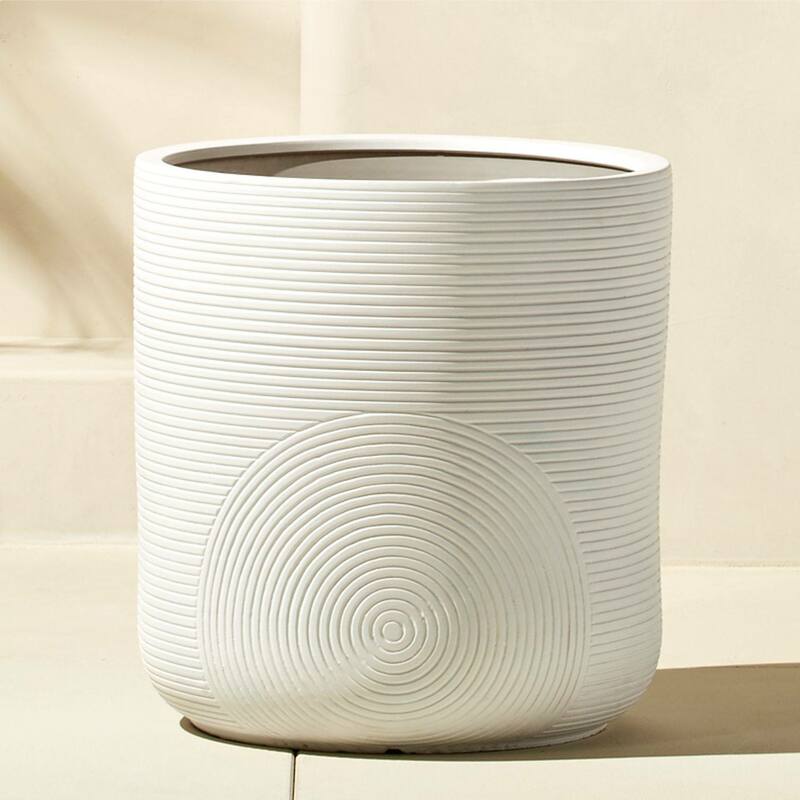 A large clay planter with a graphic design of both horizontal and circular line indentations, this piece could work both inside and outdoors. 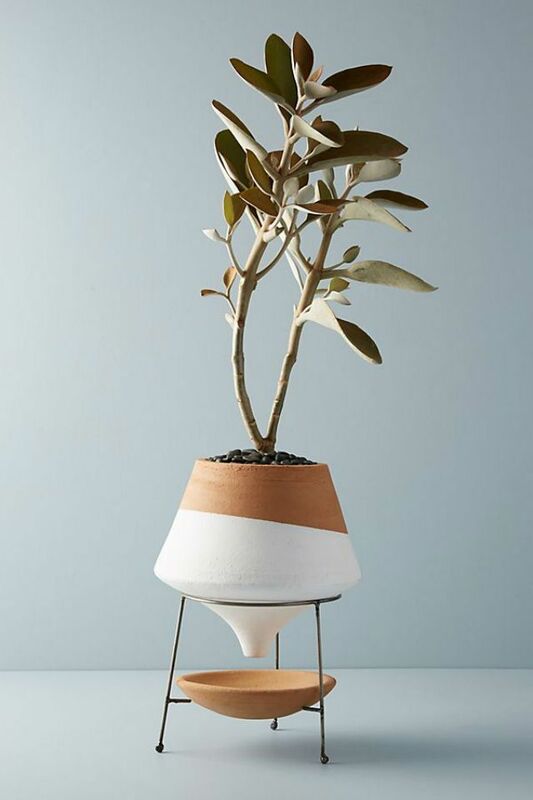 Use it to hold a large potted plant like an olive tree or fiddle leaf fig. While some indoor plant pots are designed purely with functionality in mind, this one is all about the style. 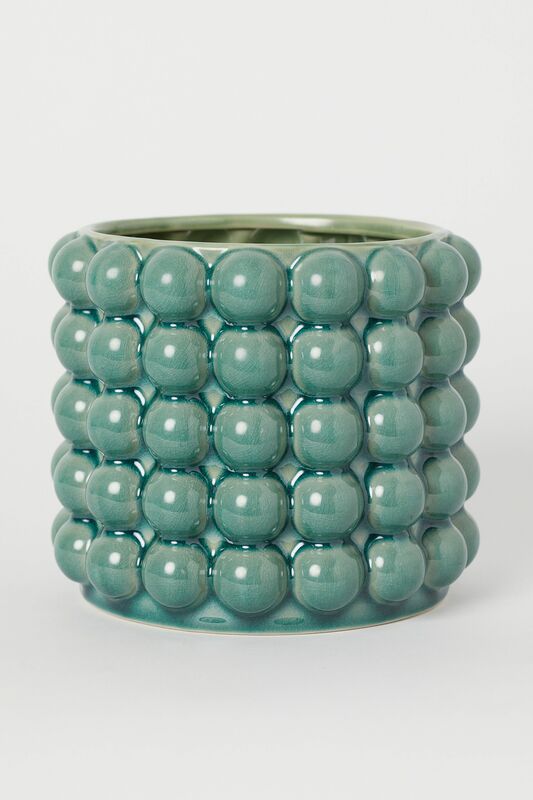 Made of glazed stoneware, it features a rich turquoise shade of green and playful bubbles. 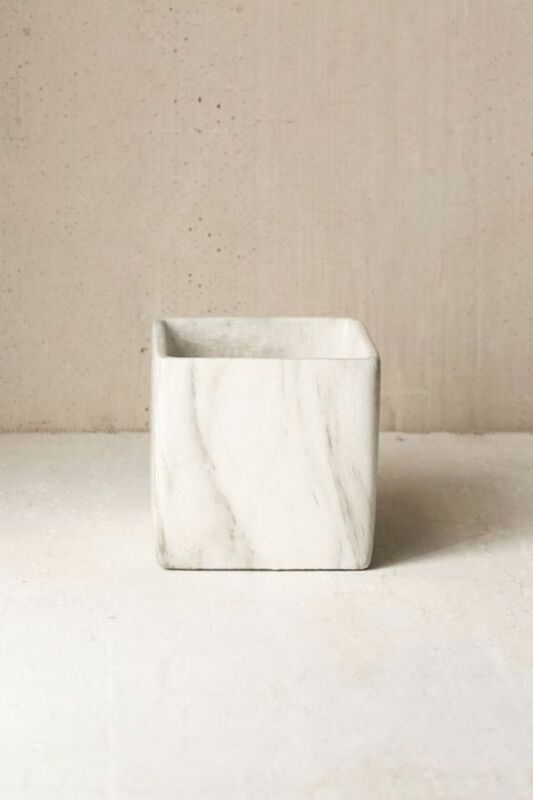 Made of terracotta, this natural planter features a modern square shape and a striking marble design. Try using it to plant a small fern or snake plant. 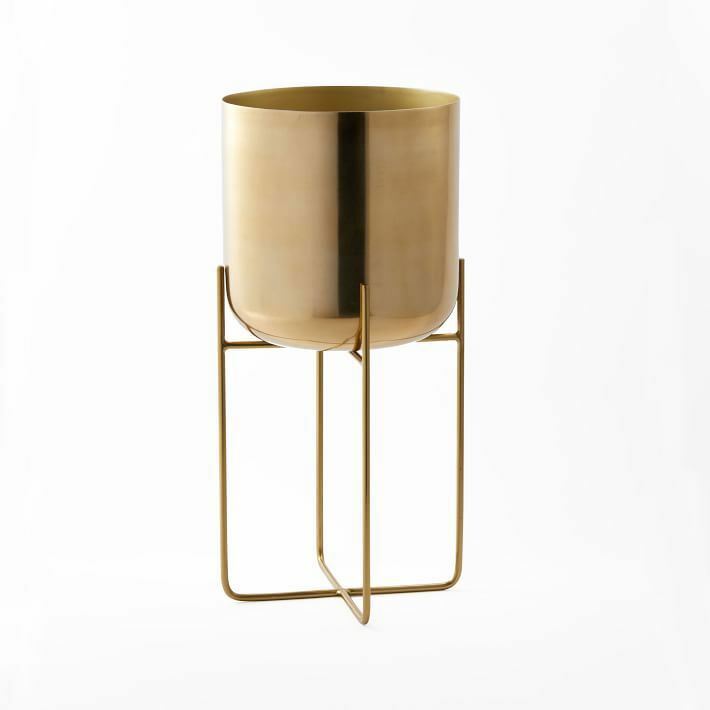 This spun metal plant stand is contemporary and refined. One could stand alone or be used alongside others in a thoughtful cluster. 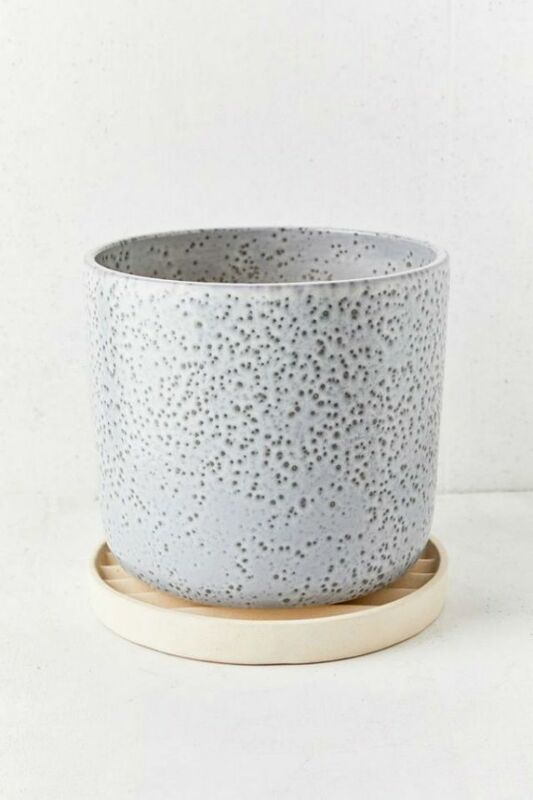 A dipped clay indoor plant pot that comes with a metal stand and drainage tray, this piece would look stunning in the corner of a living room or bedroom. Note the glazed terracotta in both natural orange and white that swirl together beautifully. If there was ever a planter designed for minimalists, this is it. 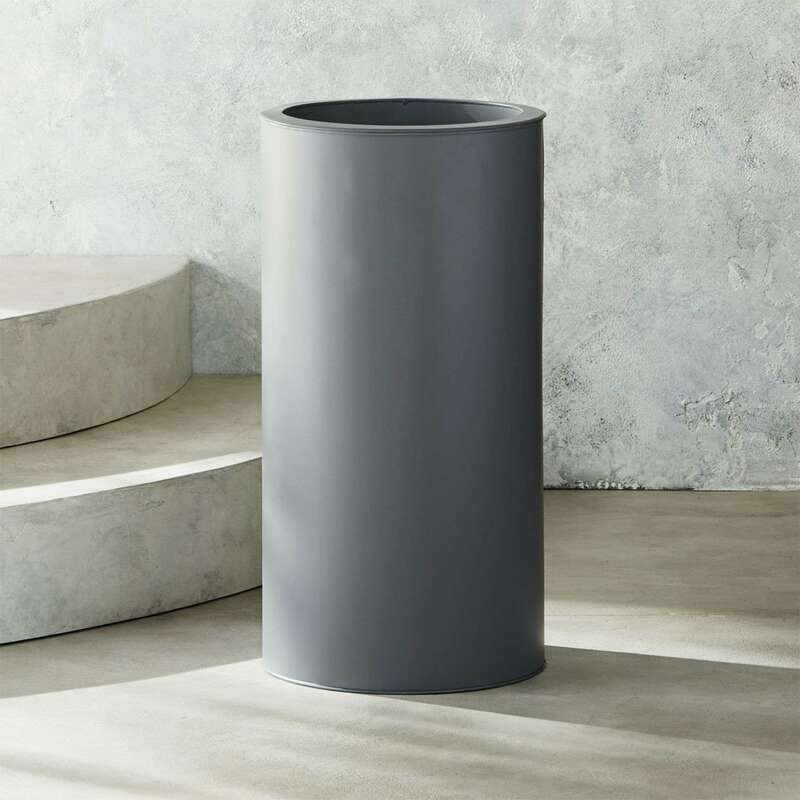 A cylindrical planter in a slate gray made of galvanized steel, this pot appears simple, industrial, and undeniably cool. This white plant pot comes with a metal stand to lift your greenery up off of the ground. 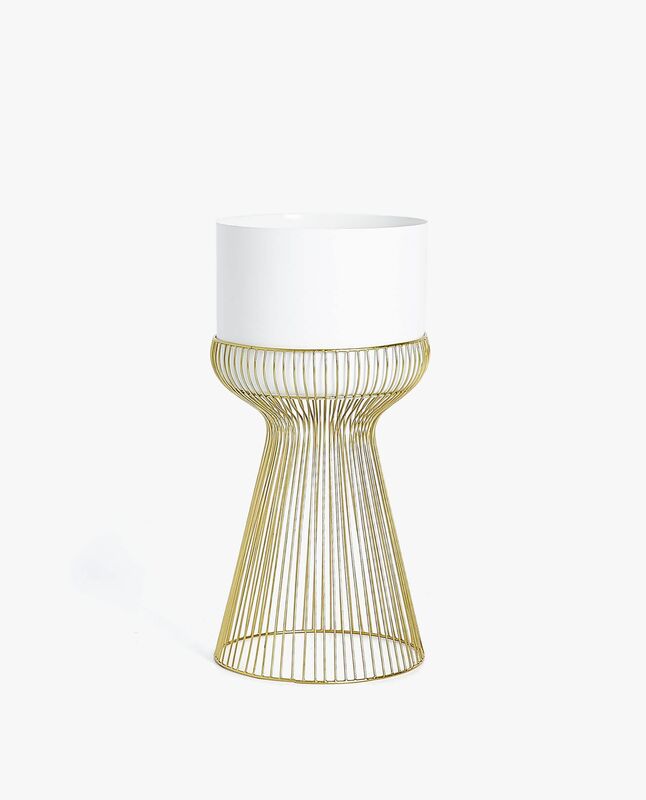 It looks luxe thanks to the gold stand and its shapely figure. Hammered metal is the star of this indoor plant stand. It’s an oversized planter fit for holding an expansive tree inside your home. Next Up: 5 easy-to-care-for plants to bring home right now.